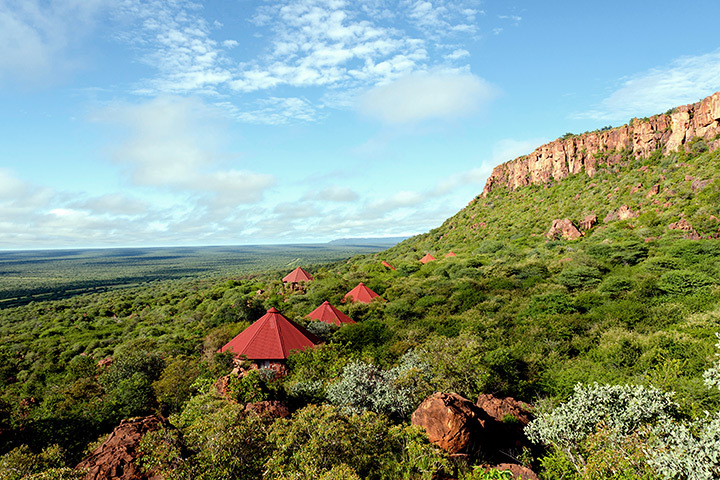 Hiking trails with "botanical garden"
Nestled on a rock terrace on the slope of the Waterberg, the chalets offer a view to the end of the world. 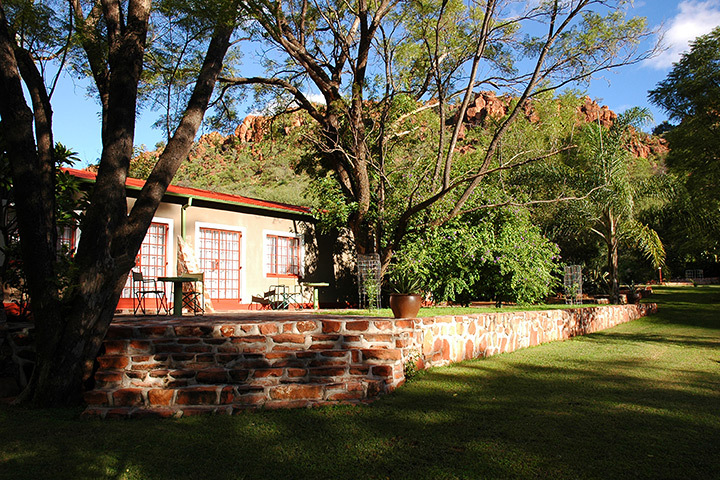 Huge trees, mighty bamboo and a bubbling spring turn the lodge into an oasis at the border of the Kalahari. 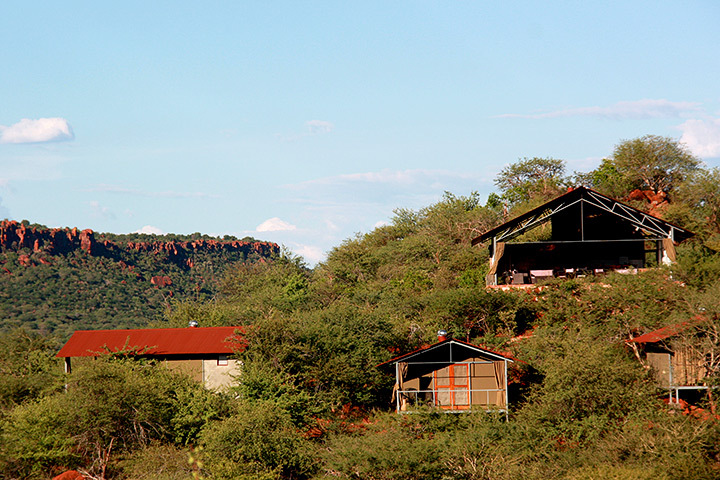 The Econo chalets are situated on a hill in a wide valley between the red cliffs of the Waterberg mountain. 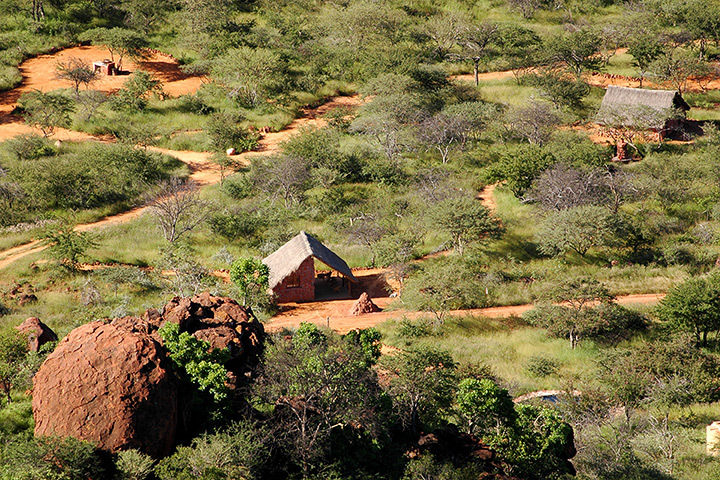 Both campsites offer secluded pitches with shadow roofs on the sand of the Kalahari and a pool.